Digital Vision has announced the launch of the GiGio digital Freeview recorder, which is slightly different than the maority of the Freeview recorders available on the market today. 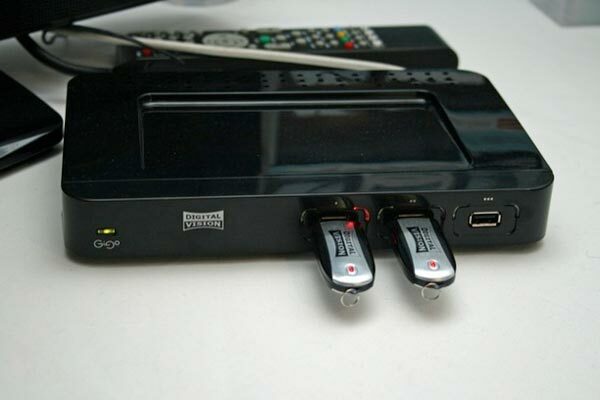 Instead of having a built in hard drive to record programs the Digital Vision GiGo has three USB ports on the front, which records programs on a USB drive. The Digital Vision GiGo comes with a single tuner, that lets you record direct to a USB drive, personally I think this is a great idea as it would be easy to transfer your recorded programs to your PC or NAS drive. It will go on sale in the UK later in the year for £69.99 about $113.